Harcourts Evolve is committed to providing the highest level of service to its clients and customers. Our reputation of being the number 1 real estate agency in the local area is evident with our driving force to create clients for life through the highest level of service. We offer a wide range of marketing tools to assist you, taking the stress out of selling your prized possession and achieving the best price possible. At Harcourts Seaford we are proud to say we put our focus on Global, National, Local and most importantly YOU! Dylan's contribution to the team at Harcourts brings multiple years experience in sales and customer service. Having previously worked within the banking sector Dylan prides himself on providing quality service and premium results. Dylan works tirelessly to promote the uniqueness of each property and to build a marketing campaign that is just as individual. He works closely with clients to keep them well informed by providing information on all aspects of Real Estate including market trends and purchasing opportunities. ‘Life's most persistent and urgent question is, 'What are you doing for others?’ - Martin Luther King, Jr.; is a mantra Dylan’s lives by. He understands that honesty, communication and integrity are all huge reasons why he receives referrals and repeat business. Our team of experienced professionals at Harcourts provides market-leading real estate services across Melbourne and beyond, working together to deliver quality service and premium results! Beginning her career with the Harcourts Group on 2015, Elyse has developed skills beyond her years through her positive attitude and saying ‘yes’ to any opportunity that comes her way. Elyse has lived on the Peninsula for over 20 years and has remained a local after finishing VCE at Frankston High School in 2011. She enjoys yoga, Sunday market trips with her partner Matt, walks with her dog Otis and anything involving a good coffee or espresso martini. Taking pride in punctuality, presentation and manners Elyse is guaranteed to contribute greatly to the excellent standard of customer service provided by Harcourts Evolve. 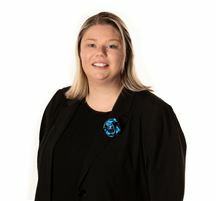 Kristy has recently started at Harcourts, as a Property Manager. She brings exceptional customer service skills with her, having previously worked in Woolworths management. Kristy has a great interest in Real Estate, and decided to pursue her passion with us here at Harcourts. She has settled in perfectly, and is enjoying all aspects of her role. Kristy loves being an active member of her team, and working alongside Rebecca. She looks forward to building strong professional relationships with her tenants and landlords. The best of beachside living! Your next family home awaits! The life of an Entertainer! The Best of Beach Side Living!